2 things that will keep me happy on holiday - sunshine and good food! On our recent trip to Seminyak in Bali, I didn't have high expectations of the food but was amazed at the great variety of restaurants out there. So good in fact, I wanted to write a whole post dedicating to the cuisines we had! 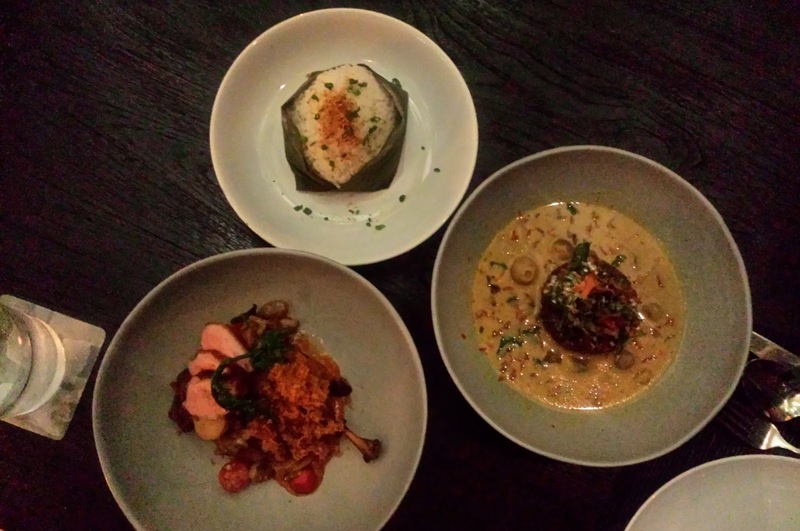 I wasn't familiar with Indonesian food before we left for our trip but I love all types of south eastern flavours, so was expecting a mix of Thai and Malaysian dishes. 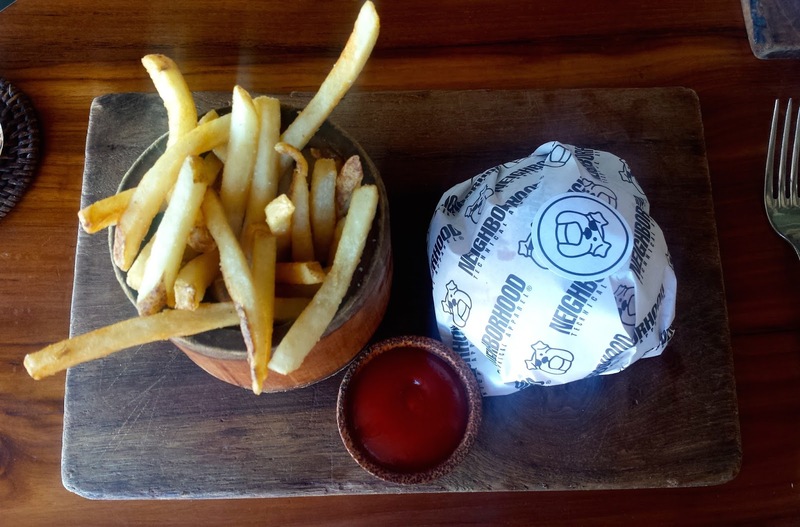 I was also expecting a lot of street type food and low key food stalls but I have to say Seminyak have got their finger on the pulse when it comes to great varied cuisines in chic and stylish environments. I was craving some wholesome chicken pho, yes I know it was baking hot but sometimes a hot bowl of pho just hits the spot! 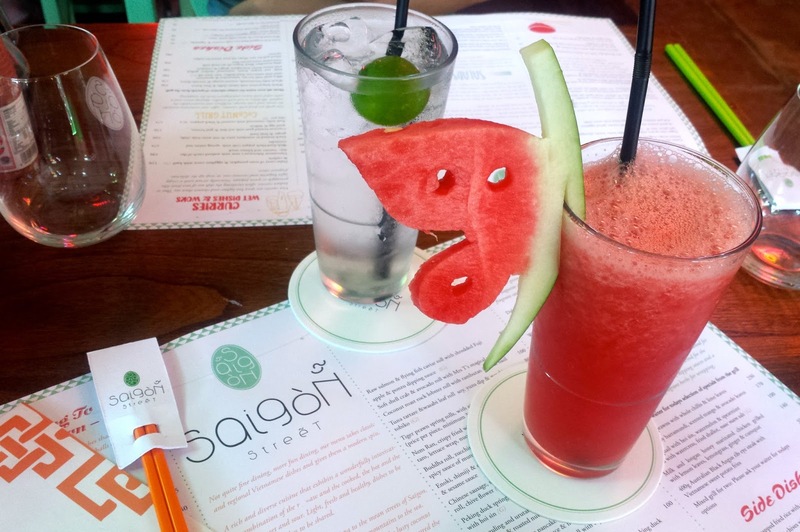 On our first afternoon in Seminyak, we came across Saigon Street a bright and funky restaurant and bar, with an outdoor grill area that smelt delicious! 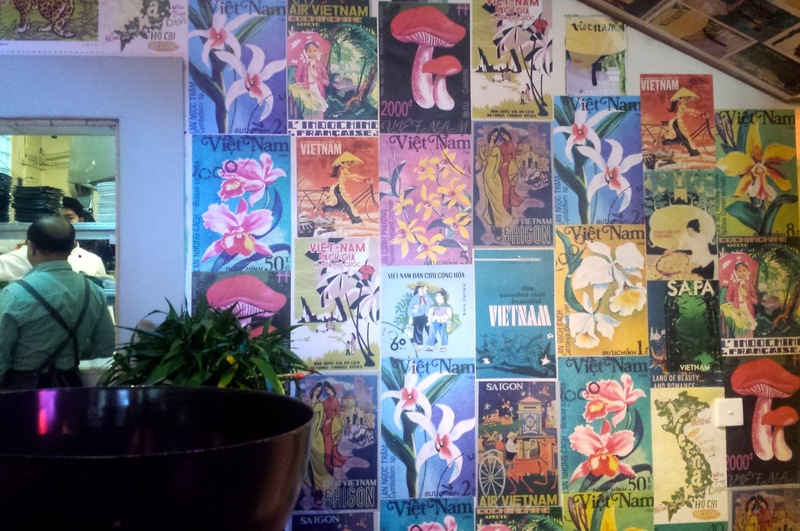 It has a fun, chilled out vibe, friendly staff and cool decor - neon lights and I especially liked the vintage Vietnam posters on the wall. 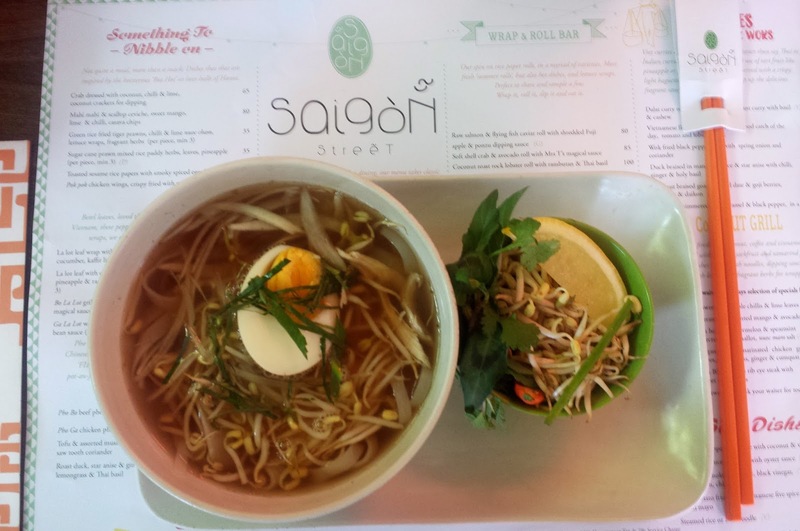 They have a typical selection of Vietnamese dishes, from summer rolls, grilled meats and noodles to pho of course. The portions are small to share or you can upgrade for a main meal. 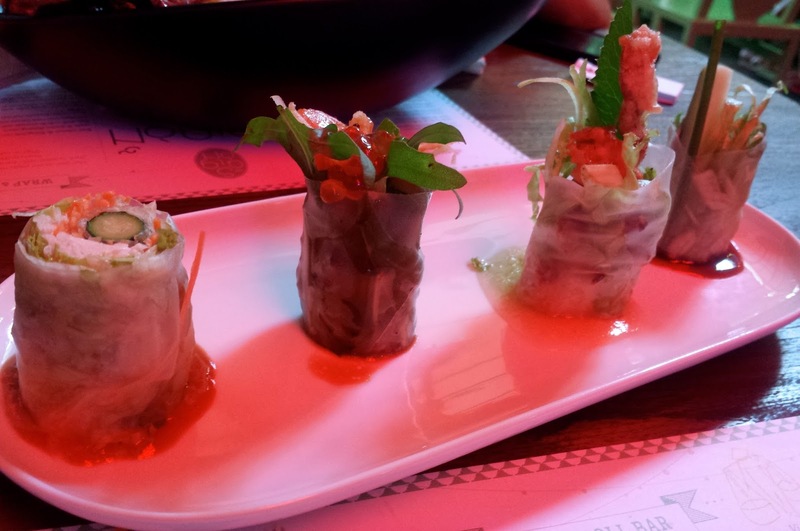 We tried the summer roll selection including - salmon and fuji apple and soft shell crab and avocado all fresh and tasty. Great place to share lots of dishes with friends in a relaxed environment. 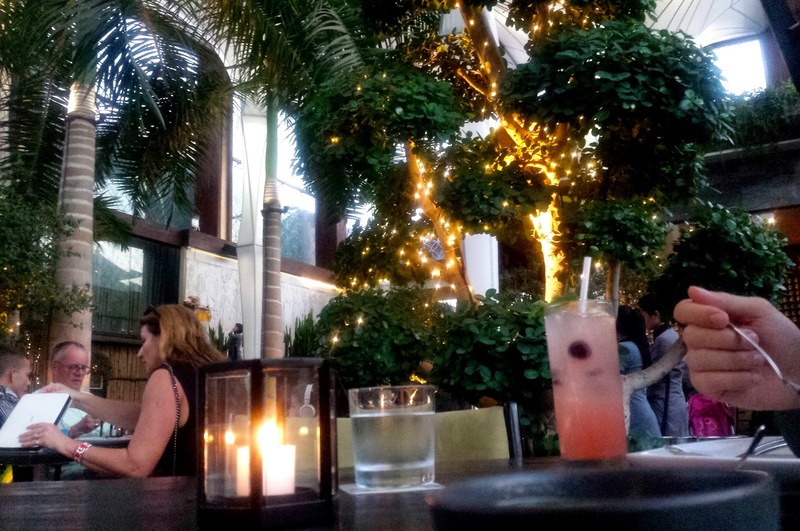 Sisterfields is a great buzzy resturant that serves all day breakfast, lunch and dinner. It was busy during the day so we headed there for dinner one evening but I think it would of been more fun going for brunch. The menu includes slipped lobster scrambled eggs and truffled oyster mushroom fried egg! The decor is light and airy with an open fronted diner style area, with marble counter and funky blue chairs. 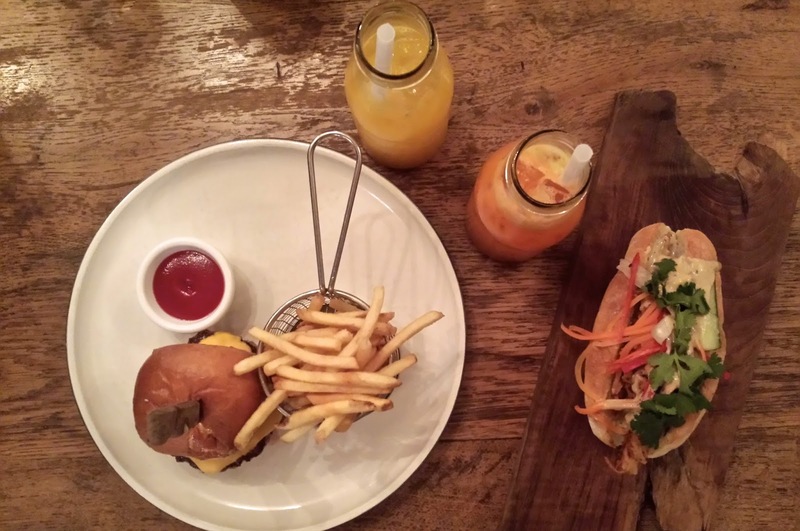 Hang went for the 'Sisterfields Dirty Burger' with smoked chedder and aioli sauce and I had the 'Vietnamese banh mi with soft shell crab', with pickled vegetables and chilli caramel and sesame emulsion. Typically Vietnamese banh mi's have grilled pork, so I was excited to try something different and I love seafood! 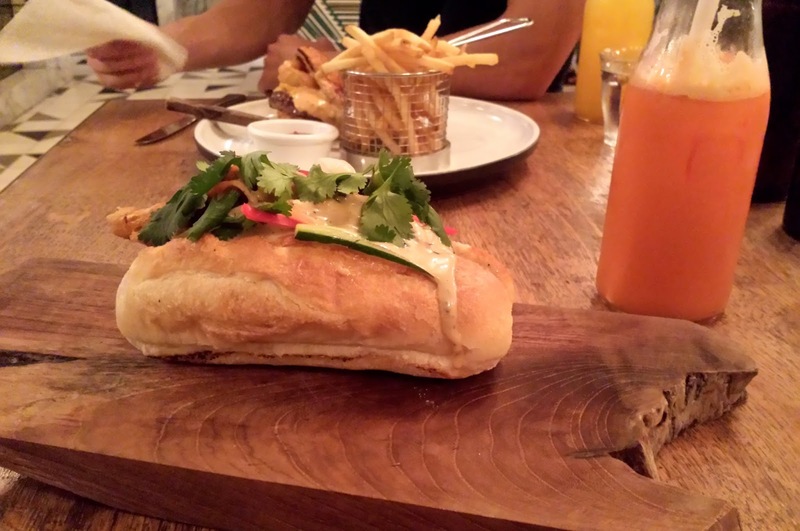 The baguette was crispy and the sauce was tangy and fresh and the crab was divine. Hands down one of the best places we tried in Seminyak, so much so we came back here 3 times - once for dinner and twice for lunch! It has an amazing restaurant front of descending steps where diners can sit and eat or have a drink, whilst looking out to the buzzy streets of Seminiyak. 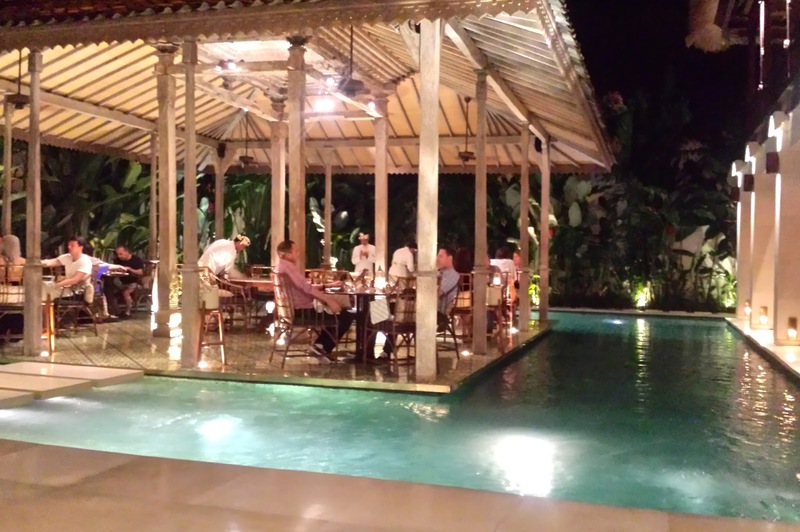 The main restaurant in the evening has the roof completely open, which is nice to watch the stars whilst you eat. 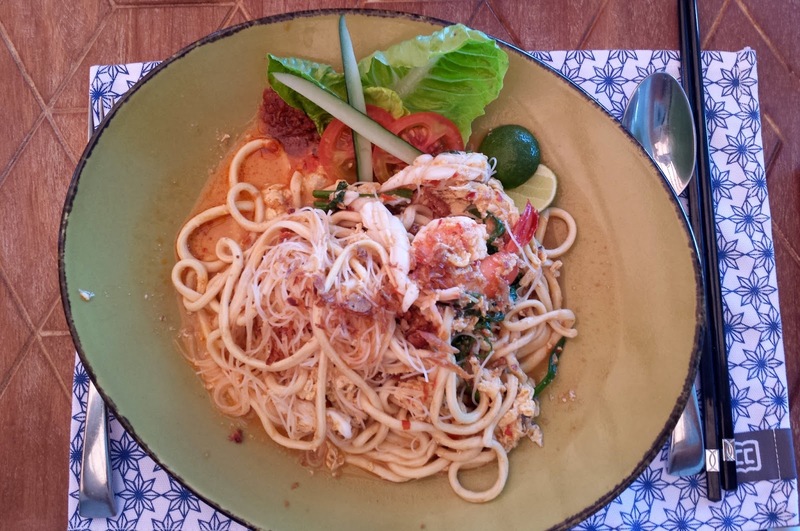 The menu has a great selection of Indonesian and Asian fusion flavours. For dinner we had the set menu, which was extremely reasonably price 150,000 IRP, which is about £6.50 for 3 courses. You also get complimentary crackers and sour cream dip, which were so moorish. The lunch menu was incredible, a good section of western and Asian dishes and such good value for money. I had the Malaysian laksa and sautee clams for £2! It was so rich in favour, absolutely delicious! This impressive, secluded and incredible romantic restaurant was so popular we had to reserve a table. The open restaurant is surrounded with water and marble slabs to step over, a nice novelty but becareful to watch your step! The thatched roof area in the center of the restaurant is a beautiful focal point, which we were lucky to dine under. The staff were incredibly attentive and made us feel very welcome. We had a medly of soft shell crab, chicken curry and roast duck. 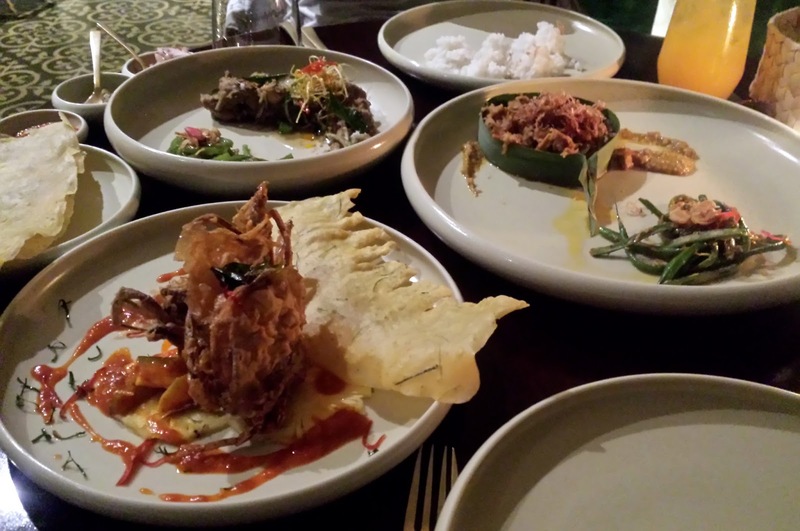 A little pricier than normal Indonesian eateries but the food is great quality, beautifully presented and a fine dining experience to remember. This is the most unassuming restaurant from the outside, it's next to a sports bar but once you step inside you're greeted by the friendly hostess and super chic interiors (so chic in fact they have a dress code!) 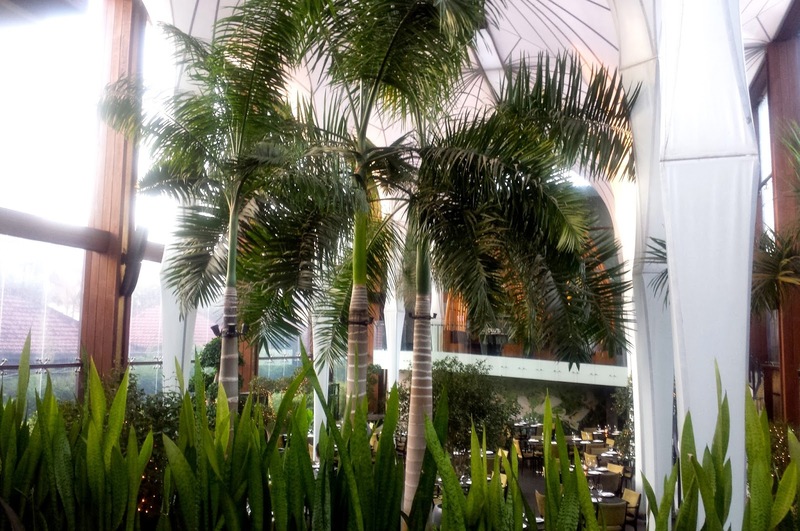 The main restaurant opens into a greenhouse style atrium, tall trees with twinkling lights, the perfect setting for a fancy meal. As the evening got darker, it created a nice atmosphere with all the lights and candles. 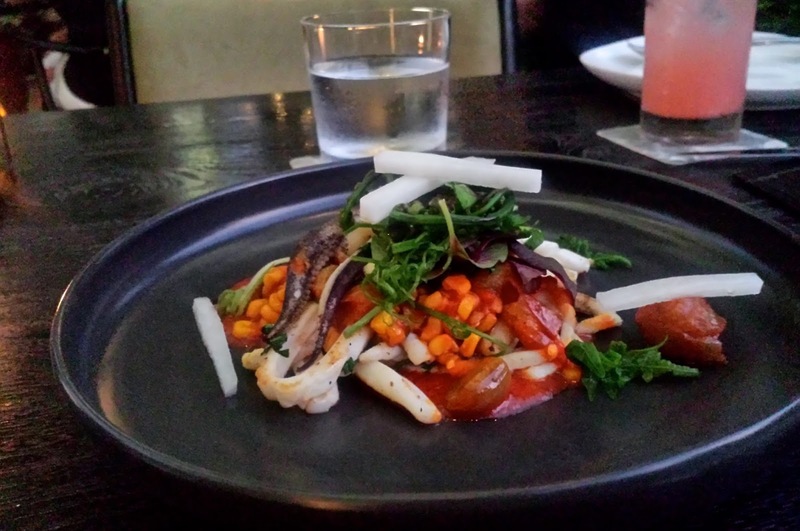 We had the charred baby squid, lamb shank curry and roasted duck leg. I thought we would like the lamb curry but it was quite mild. The roast duck however was soft and tender, perfect with the tomato sauce. Another great fine dining place with traditional cuisines. 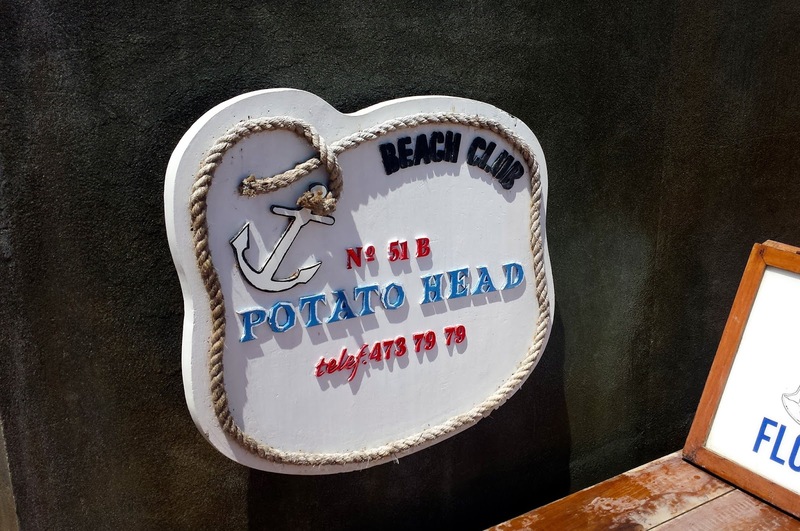 I had looked up this beach club before our trip and was really excited to find out how close it was to our hotel. So great in fact we went their for lunch and then again in the evening to watch the sunset, which was incredible. 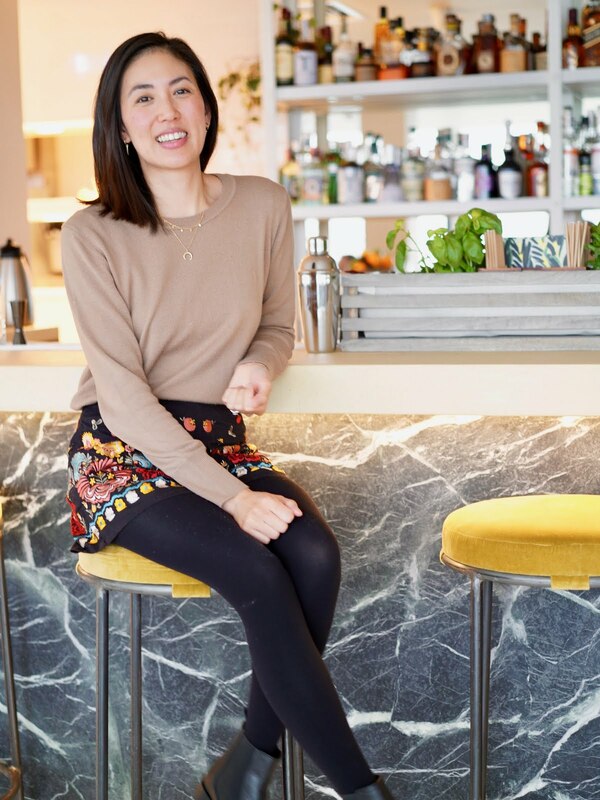 Potato Head has 2 restaurants and gets incredibly busy, offering a variety of dishes from pizzas, sandwiches and hot asian dishes. There was also a pop up menu from Three Buns and Neighbourhood. We had the Mexican burger - with jalepeno cheese and sour cream on corn bread brioche bun, which was hot and spicy but the perfect burger hit! Ok we technically didn't eat here but I had to include this great little cafe. 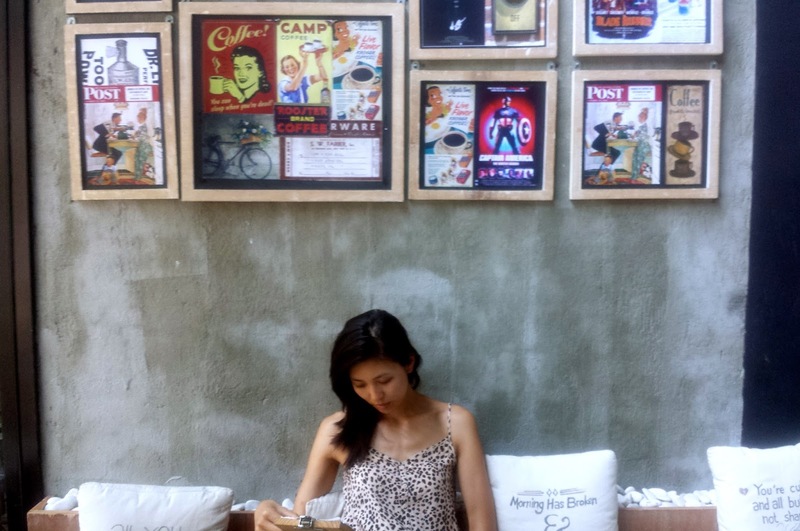 The Coffee Library is exactly that - a chic and cosy place to have a cup of coffee and read a book. The perfect place to relax and refuel with a refreshing drink or coffee - obvs. 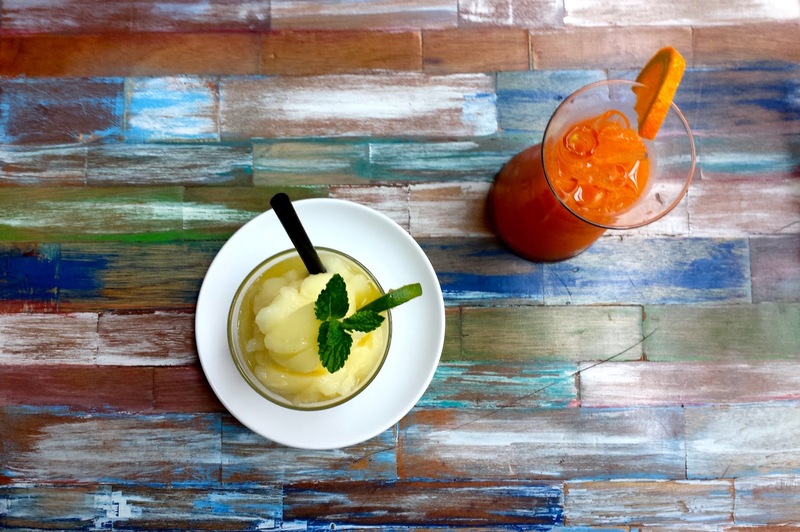 I was feeling a bit run down so I had the carrot and ginger juice and Hang had the frozen lycee, both the fruity hit we needed. It has a great staircase upstairs and cool vintage posters on the wall. 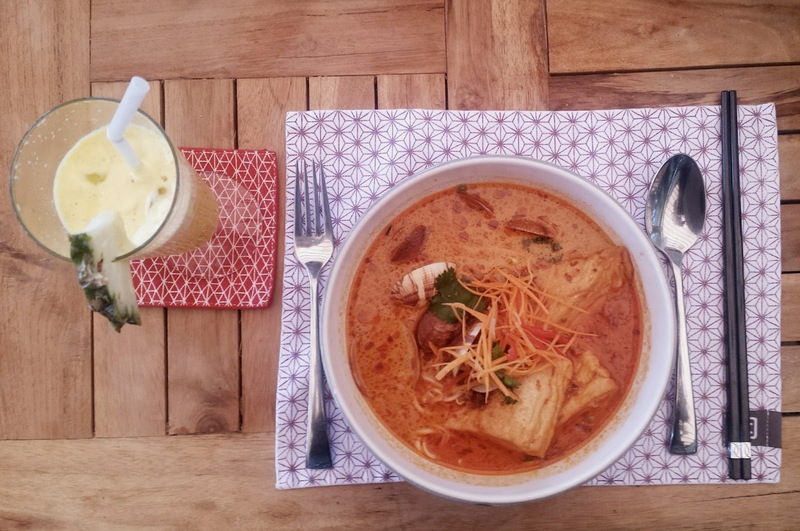 Hope you enjoyed this post on places to eat in Seminyak Bali, I'm no food blogger but I do enjoy sharing great new places in try! What country have you been to with great food? Which restaurant has tickled your taste buds?